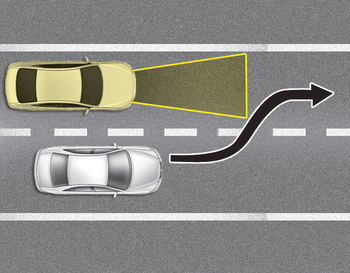 A vehicle which moves into your lane from an adjacent lane cannot be recognized by the sensor until it is in the sensor's detection range. • The sensor may not detect immediately when a vehicle cuts in suddenly. Always pay attention to the traffic, road and driving conditions. If a vehicle which moves into your lane is slower than your vehicle, your speed may decrease to maintain the distance to the vehicle ahead. If a vehicle which moves into your lane is faster than your vehicle, your vehicle will accelerate to the selected speed. Your vehicle may accelerate when a vehicle ahead of you disappears. 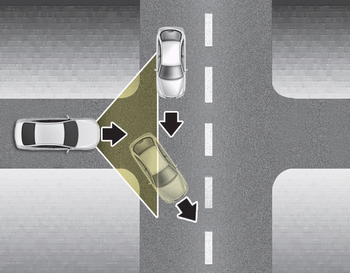 When you are warned that the vehicle ahead of you is not detected, drive with caution.